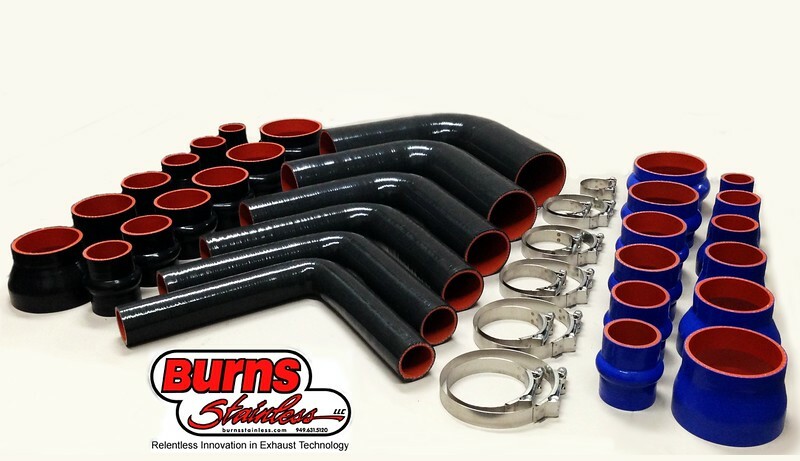 Burns Stainless – Silicone Hose Blow Out Sale! Burns Stainless is having a silicone hose blow out sale! Now is your chance to pick up high quality silicone hoses for your build at rock bottom prices. Burns has everything on sale: silicone reducers, hump hoses, elbows, straight silicone hoses, etc. If it's silicone and on Burns' rack, it's on sale. Did we also mention all silicone products are way below cost! So head on over to the Burns Stainless website and order them now before the sale ends. Follow the links to the Burns Silicone Hose Pricing page. 4-ply hump-hoses are available from 2″ to 4″ in diameter. Burns' entire inventory of hoses is on sale: straight hose, elbows, reducers and hump hoses. Don't wait, as supplies are limited. Once their inventory is gone, it's gone!